What if humans were able to live up to their true potential by tapping into the unused portions of their brains? That’s the premise of director Neil Burger’s high concept thriller Limitless starring Philly native Bradley Cooper as struggling writer Eddie Morra who stumbles upon an experimental miracle drug that allows him to see into the future and digest large quantities of information in mere seconds. Supplies are limited though and demand is high thus Eddie barely has time to enjoy his newfound success before he’s tailed by thugs, police, corrupt politicians, and Robert De Niro who portrays a successful Trump-like businessman in yet another forgettable performance. Director Neil Burger (The Illusionist) constructs a slick, easy watch with several moments of over-the-top exploitation that don’t necessarily feel like they belong in this particular film, but are memorable nonetheless. Eddie’s mind-trips into the future are portrayed as fast motion Google Maps street views, which become slightly annoying in the same manner as the excessive sweeping cityscapes of last year’s Enter the Void. The film may completely lack a worthwhile theme as it initially attempts to critique high-class living and excessive spending, but by film’s end seems to encourage these very things. Limitless isn’t a must-see film by any means, but it’s an enjoyable watch and is certainly one of the better post-Inception, high concept thrillers that are currently invading our movie screens. 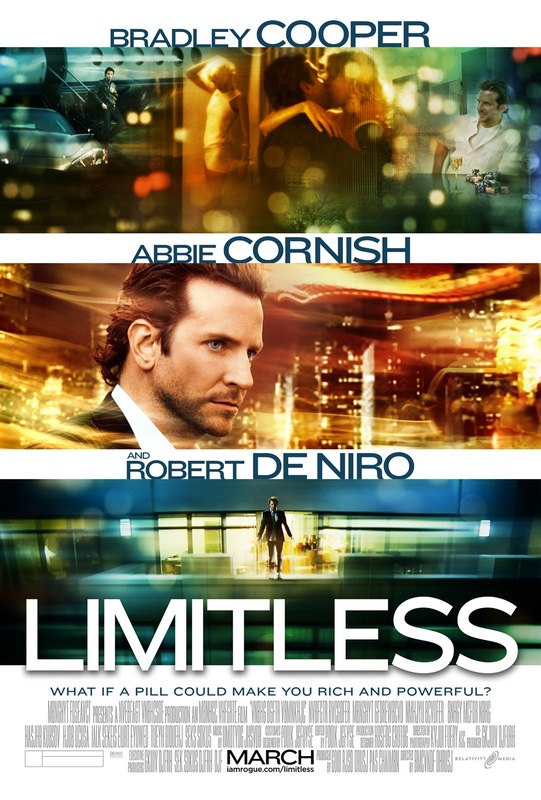 Limitless opens wide in Philly-area theaters today.